Home / Phillip J. Michalos, O.D. 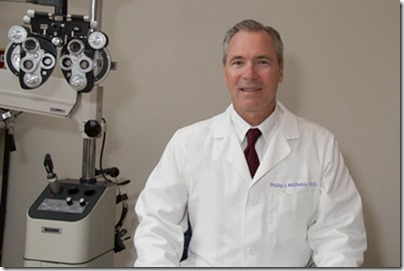 Phillip Michalos, OD received his Doctor of Optometry degree from The Ohio State College of Optometry in 1979. 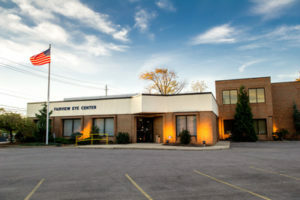 Dr Michalos established his own distinguished optometric practice, at one time providing three locations to serve his patients in the Cleveland area since 1984. He has recently merged his practice with The Eye Centers to continue his service to the residents of Cleveland’s West Side. He has previously served as the Clinical Director of Refractive Services at Nuvista Refractive Surgical Center, evaluating patients for LASIK surgery and providing their post-operative care. He also was the Staff Optometrist for Sunrise Assisted Living in Bath, Ohio providing eye care for their residents. Dr. Michalos provides comprehensive vision and eye health examinations. He is extremely experienced in fitting all types of contact lenses. He also provides treatment and management of numerous eye conditions, including allergies, Dry Eye Syndrome, and glaucoma. Originally from Canton, Ohio, he currently resides in Bath, Ohio with his wife Della. They have three children. Dr. Michalos enjoys golf, tennis, and is an avid skier. Dr. Michalos is excited about continuing the care of his patients at The Eye Centers, but is also currently accepting new patients and would be pleased to schedule a consultation or routine examination with you.